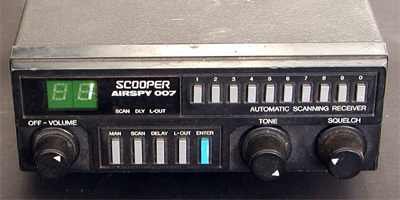 The Scooper Airspy 007 is a simple computer scanner that can be modified easily to monitor your favourite paging frequency or AIS. 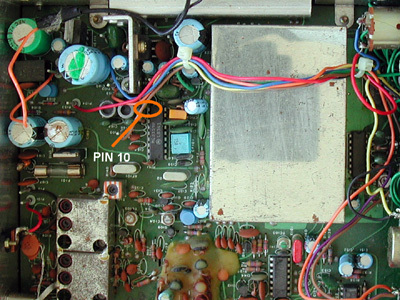 A 10 k resistor is soldered to pin 10 of the MC3359. 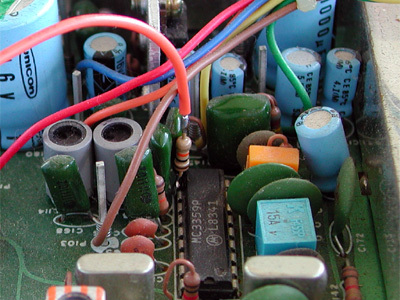 With a piece of isolated wire, the resistor's other lead is connected to a 3.5 mm chassis socket. This can be mounted in the back of the scanner. Since the back panel of the scanner is connected to the scanners's ground, no separate ground lead is necessary from the 3.5 mm socket.